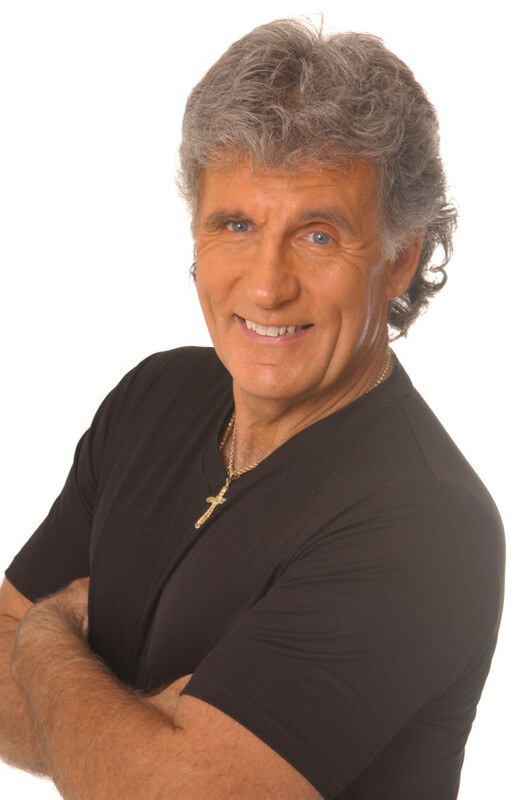 Grand Master Dennis Kelly is a 7th Degree Black Belt, is a 5 time World Martial Arts Champion, 13 time National Champion, in Mens Full contact Point Fighting karate, Martial Arts Magazine Hall of Famer, Author of “The Six Steps to the Fountain of Youth”. In progress, his latest autobiography/book/movie, “The Legend of Tango Man“, which will also include the “How to Guide” on Tips to Ageless Living, and how to MASTER the SECRETS of LIFE ! Dennis Kelly was never a great athlete Kelly never made a basket, never made a touchdown!! His High School Coach made fun of him, told the other players he had to play him, since they were always short of players, when he overheard him talking about him in the locker room. Then, his stepfather, would tell him he wasn’t worth two cents! His girlfriend broke up with him because he couldn’t dance! As a young man, Kelly decided he would show them all, and went on to not only become a more than successful athlete on the Masters Running Team, but took 5 world titles, 13 national, AND a ballroom dance champion. The rest is history, as Kelly incorporates his life learned lessons, and took charge of what he calls a “metaphor”, and decided he would look at his life like a movie, and he is the director, and created the power to change!! Master Kelly offers direct, the ONLY, Dennis Kelly legitimate, official certifications for Tai Chi / Chi Kung, Professional Instructor, and Master Trainer (aka known as Master Warrior Trainer) certification programs, through his company, Defy Aging, Inc.
Master Kelly attributes his championship success to the benefits of Tai Chi / Chi Kung, and created a specialized, proprietary American “version”, that allows individuals to learn quickly, in efforts to achieve benefits quickly. Kelly has certified highly trained, qualified Professional Instructors and Master Trainers (aka Master Warrior Trainers) throughout North America and Canada. 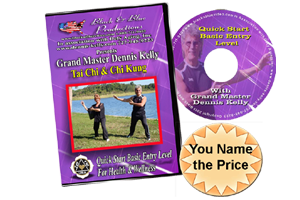 This specialized program and the ONLY official program created by Grand Master Dennis Kelly, consists of the Basic Entry Level, and to progress to the next Foundation Tai Chi and Chi Kung, The Bronze, The Silver, The Gold, The Masters, Grand Masters 1st Degree, 2nd degree. All certifications, once each level is achieved satisfactorily, every instructor in training will be awarded a physical certificate, that is officially, signed with the authentic original, authentic signature by Dennis Kelly, and stamped with his authentic gold stamp, directly on the certificate, depicting his original Tai Chi USA system. The authorized certificates are in force for two years, from the date of issue for Professional Instructors and Master Trainers, and are listed on his website as Instructors and Trainers in good standing. Nominal renewal fees are required at each renewal. Crescent Oaks Golf & Country Club, Pilot Study launch of his official, personalized, “Master Warrior Golf” with documented 100% success rate with 100% of participants, soon to launch in 2013, by Grand Master Kelly. Deepak Chopra: Kelly worked with Deepak during his Primordial Sound Meditation, “Seduction of Spirit” at Innisbrook, teaching Chi Kung, and Salsa dance at the grand finale night. 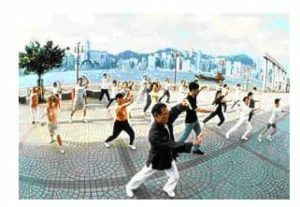 The Discovery Channel Kellys program was featured on The Discovery Channel “Home Works” and ran for two years, on the Tai Chi / Chi Kung segment. Anthony Robbins, Todd Yoder, Tampa Bay Bucs, Gary Hall, world record holder, two-time Olympic Gold Medalist swimmer, Dr.Joanne Whitaker, Rober Willix Jr. M.D., author of Healthy Life at 100, Dr. L. Hunt, Mayo Clinic,and many more testimonials from those associated with the medical communities and sport figures. To validate ANYONE ASSOCIATED WITH Grand Master Dennis Kelly and/or my Tai Chi / Chi Kung, Master Trainer (aka Master Warrior Trainer) , Professional Instructor Program, Master Warrior Golf, DEFINITELY contact me for validation !